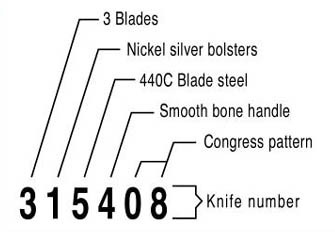 All Canal Street Cutlery Knives are designated with a unique numeric code. 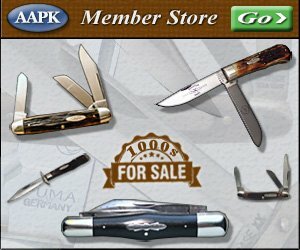 1st number from left (1 thru 9) = Number of Blades. 2nd number from left (1 thru 9) = Bolster material. 4th Number from the left (1 thru 9) = Handle Material. 5th, 6th, & 7th Numbers from the left = Pattern Type.